Klikněte na fotografii a zobrazte všechny dostupné fotografie k Tanger Tower. 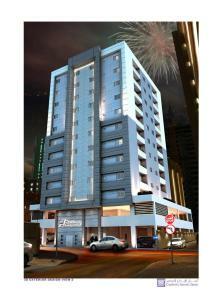 Situated 400 metres from Juffair Mall, Tanger Tower offers accommodation in Juffair. Free WiFi is provided. Kindly note that the property does not accept single female guests unless accompanied by corporate companies. Please inform Tanger Tower in advance of your expected arrival time. You can use the Special Requests box when booking, or contact the property directly with the contact details provided in your confirmation.